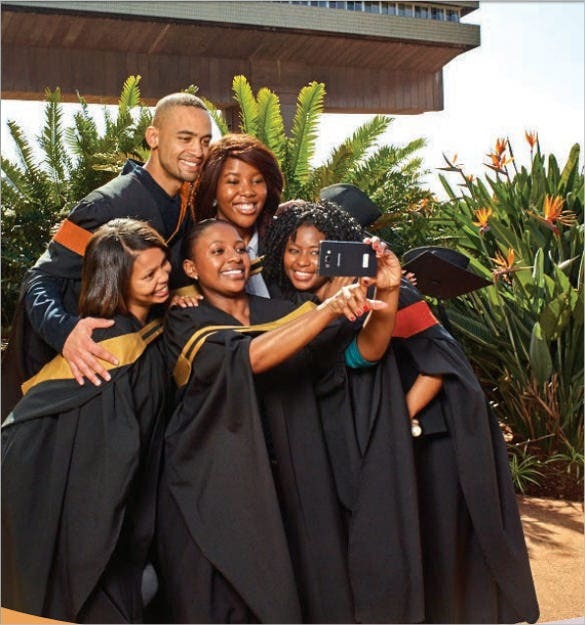 For universities and colleges across the globe, graduation day is a big event. 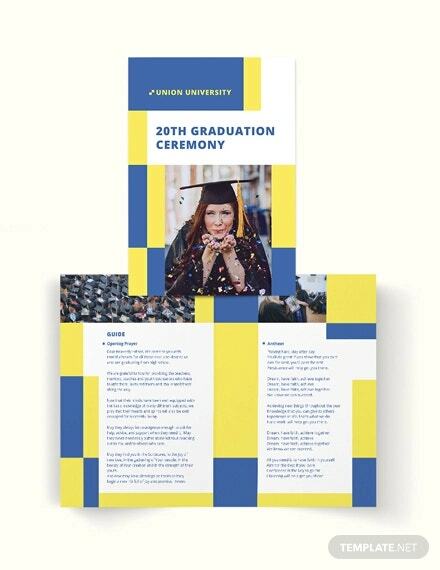 Sending out proper invites and details of the graduation day ceremony to all students is a necessity. 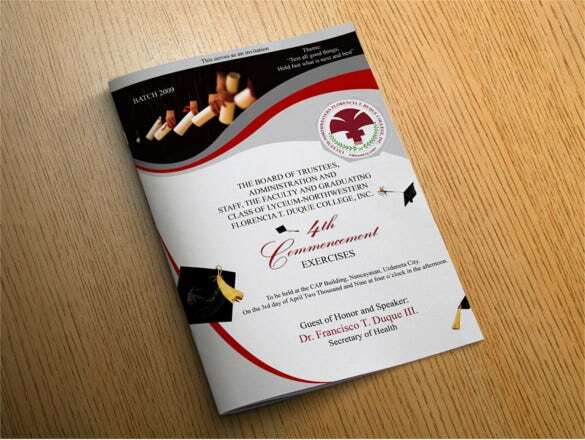 For this purpose we have the perfect graduation brochure templates. 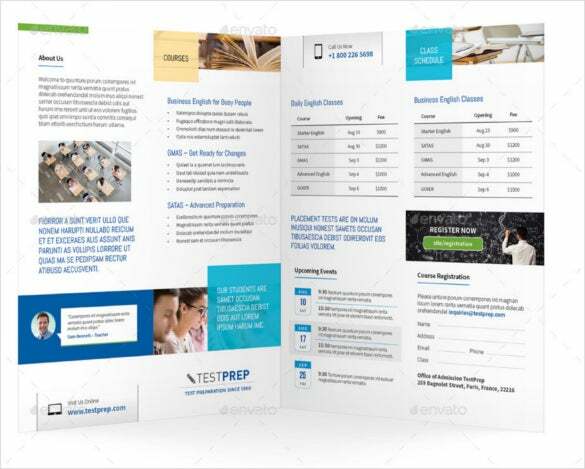 These templates are absolutely free of cost and easy to download. 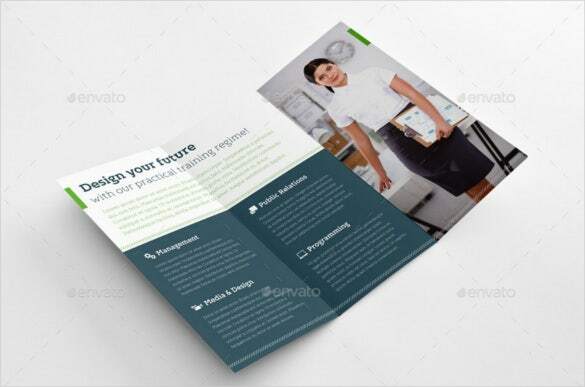 You can also see School Brochure PSD Templates.You may also see Brochure Templates. 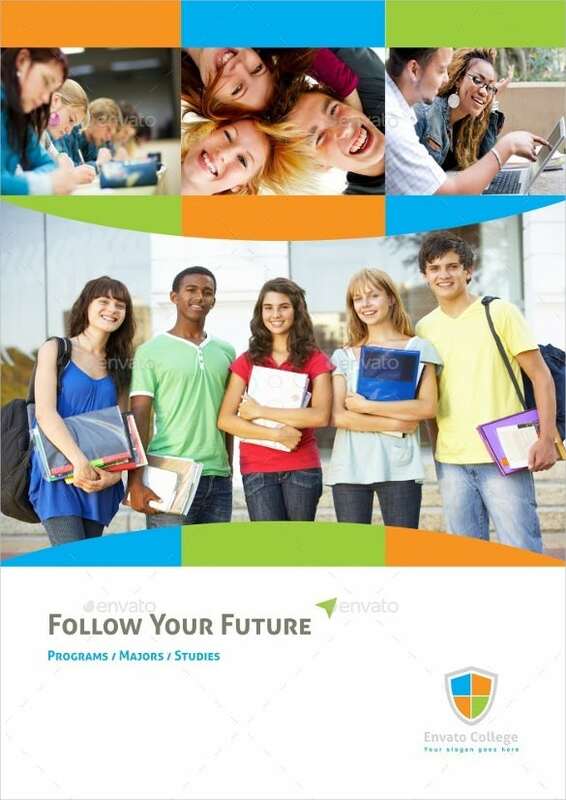 The entire brochure comes up with neat and organized format. 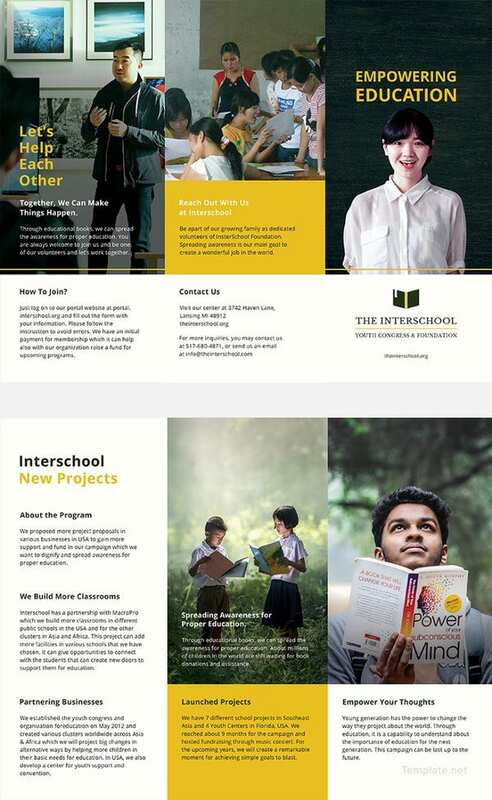 The front side can have an important picture and name of the organization while the other sides can be used for details about the institution. 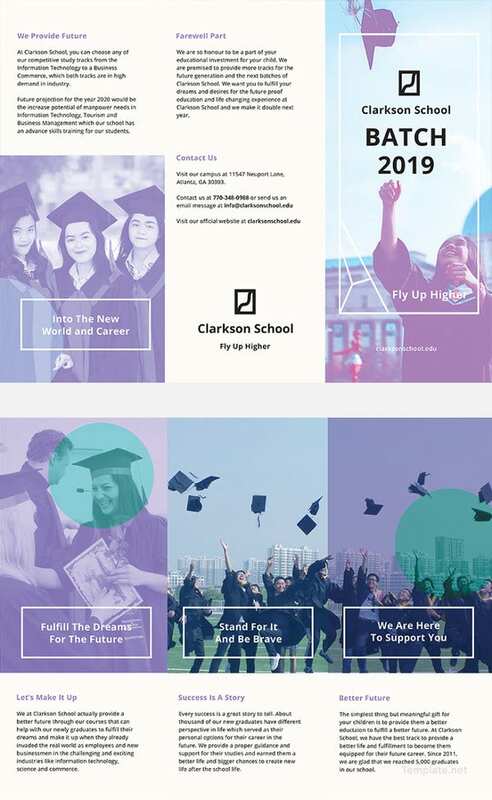 This is a beautiful graduation program cover brochure. 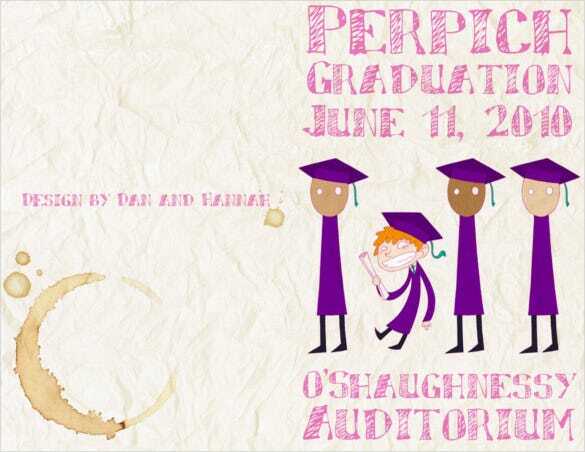 It begins with the picture of certificates at the top and then goes down to detail about the commencement exercises- from the use of colors to fonts, everything is just elegant. 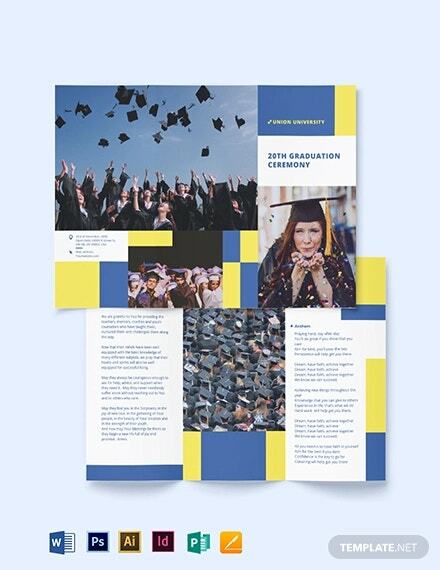 This graduation trifold brochure looks very smart and suave – you can add a bright picture for the front side of the brochure. The other two sides will jot down elaborate textual information. 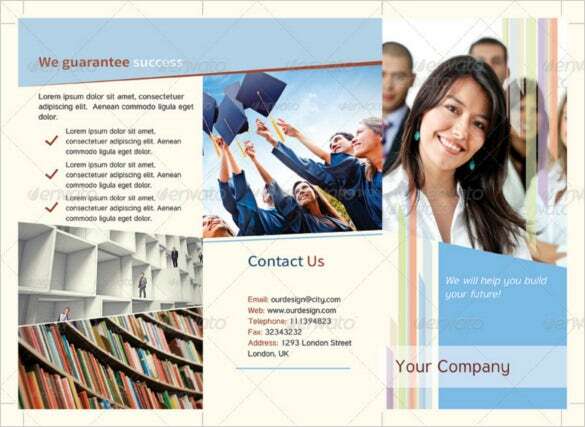 You are getting a smart & solid trifold brochure here where you can insert pictures on top and the bottom part would be covered in text. The 3 separate colors symbolize discussion of separate topics in each page. 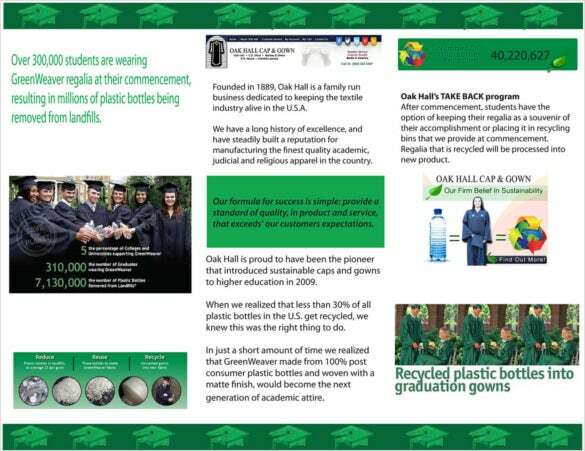 The dominance of green duly complements the eco-friendly theme of the brochure. 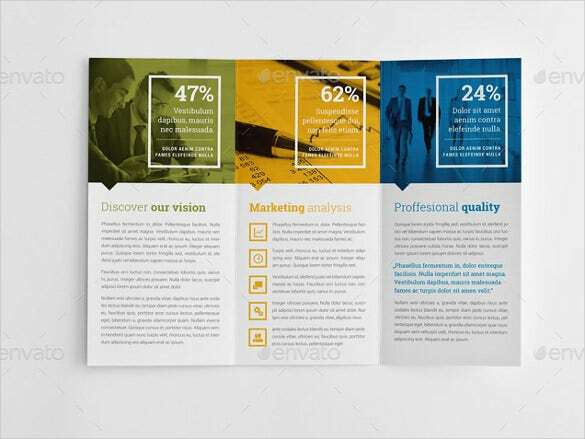 It includes both texts and images as well as infographics to ensure a trendy, engaging and informed outlook. These templates allow you to fill in details of the day, date and time of the ceremony, along with the names of the students and several other relevant details. 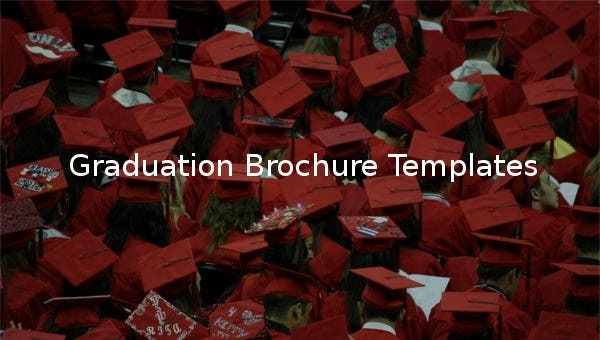 These templates also have graduation cap icons, scrolls and several other graduation relevant icons. 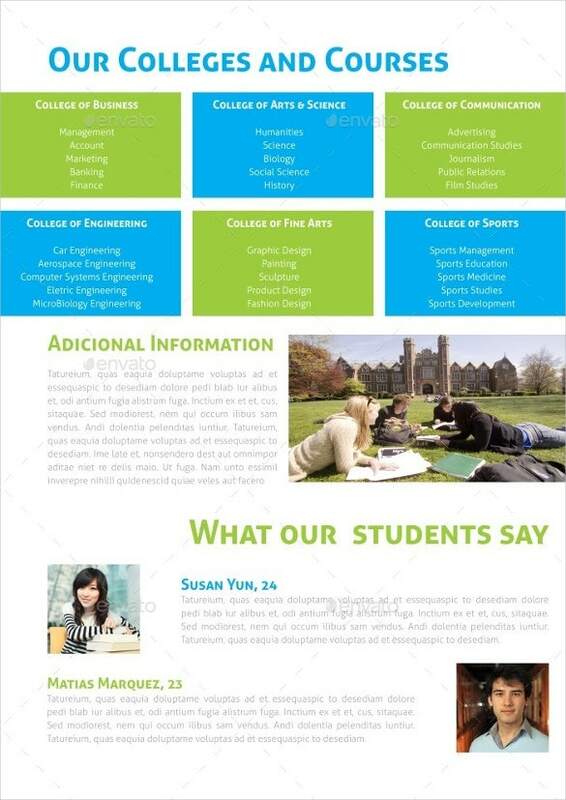 These templates are extremely popular amongst Universities and Colleges.